The sale event to end all sale events is here. That’s right, folks, Black Friday 2017 is here, and this year’s sales frenzy is set to be bigger than ever as we head into the Christmas shopping period. In all honesty, they should just rename it Black November, as there have been deals going on throughout the month in preparation for the big day. To save you trawling through the web in search of a good bargain, we’ve created this handy guide containing everything you need to know about Black Friday 2017. If you’re on the hunt for a new graphics card, a bigger and better monitor, want to splash out on a fast SSD or upgrade your gaming headset and get a more reliable mouse and keyboard, this is the place to be. We’ll be updating this hub page on a regular basis as new deals get announced, too, so make sure to keep it in your bookmarks if you fancy grabbing yourself a bit of a bargain before Christmas. We’ve also got tips on the best places to browse, and how to find out if those hot discounts are really as good as they seem. The sale event to end all sale events is here. That’s right, folks, Black Friday 2017 is upon us, and this year’s sales frenzy is set to be bigger than ever as we head into the Christmas shopping period. In all honesty, they should just rename it Black November, as you’ll find deals happening literally RIGHT NOW in the run-up to Black Friday proper. To save you trawling through the web in search of a good bargain, we’ve created this handy guide containing everything you need to know about Black Friday 2017. 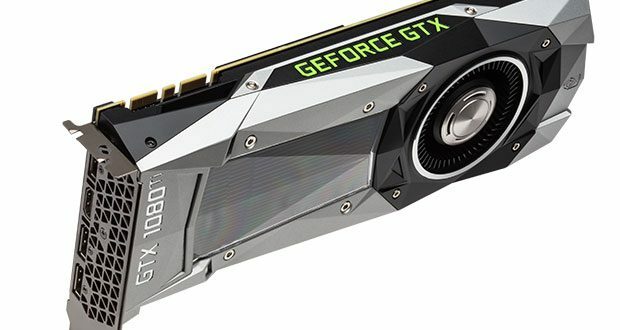 If you’re on the hunt for a new graphics card, a bigger and better monitor, splash out on a fast SSD or upgrade your gaming headset, this is the place to be. We’ll be updating this hub page on a regular basis as new deals get announced, too, so make sure to keep it in your bookmarks if you fancy grabbing yourself a bit of a bargain before Christmas. We’ve also got tips on the best places to browse, and how to find out if those hot discounts are really as good as they seem. Improved Performance: Turn processing has been greatly optimized. Turns now process up to 50% faster and scale linearly as the game progresses, making long matches in huge galaxies more playable. Fixed a bug that caused the MIRV missile modifier to act erratically. Added most bug fixes from Spud Dastardly and WhatIsSol Mods. Enjoy the upgrades and Conquer the Stars! Please Note: If you are playing with mod's enabled and run into issues with the new version, please patch to the 54.11 - Revenge of Antares branch to continue your game with the old mods. Today we’ve released a new version of the game manual, which can be found in the local files of Master of Orion (Game properties / Local files / Browse local files / Manuals). The updated version includes the Revenge of Antares features. Let us know what you think about it! We also want to inform you that a new stability patch is currently being worked on, and it should be released in the near future. Thank you for your ongoing support and for all the Conquered Stars! Today we have released a hotfix patch for Master of Orion. Thanks for all the reports that have made it possible! Fix for Leaders ships bonuses were calculated wrong on tactical battle. Fix for the Move Fleet hotkey not always working. Fix for Move fleet and Jump through wormhole swapped hotkeys. Fix for Non-aggression pact needing an audience to be broken. Fix for being able to destroy your own planet using the Stellar Converter when just invaded. Fix for Blockade icon appearing on non-blockaded planets on Empire management screen. Fix for Single Player Menu not appearing. Fix for no information about bonuses on credits, research and command points tooltips. Fix for tutorial block on the 5th turn. Fix for too weak Plague event . Fix for weapon tooltips moving around. Fix for mind control description. Fix for Telepathic perk description. Fix for Revolt description that lead to it seeming endless. Fix for Research bar shifting to the center of the screen when too many digits after the dot. Fix for Anomalies not appearing when playing with the Elerians. Fix for Player Retreat and Automatic Formation keybindings not working. Fix for column sorting symbol overlapping column title on Leaders screen on Russian localization. Fix for Race disposition marker going beyond the window borders when a race is destroyed. Fix for Spies ETA being displayed as -1 after completing a mission. Fix for Fleet popup moving to the top of the screen. Fix for Trilarian, Gnolam and Elerian AIs not getting military ships at the start of the game. Fix for seemingly random crash to the desktop. Fix for being able to attack an allied race via clicking Enter on Battle screen. Fix for Names of keys/buttons not being localized. Fix for Minus being separated from numbers in some perks. Fix for Unlocalized "Left Shift" and mouse buttons in Tobii controls. Fix for Skip Fleet hotkey text (Russian localization). Fix for ‘The race doesn't have any leaders' on Mission Success screen not being localized. Fix for hard to read Asteroid Lab tooltip with research progress. Fix for Prisoner exchange tooltip being repeated. Fix for out of sync Subtitles. Fix for incomplete investment tooltip. Fix for Incorrect variables in mission success and failure notifications. Fix for Colony Cession tooltip being repeated. Fix for inconsistencies in Antaran ruin discovery VO/subtitles. Fix for the empire name not being played in Ruin Сonstruction event. Fix for Player being able to click Invest Button on Minor civilization diplomacy screen without protectorate under it. Fix for the UI didn't show the experience that spies are really gaining per turn. Fix for 'Success at' phrase when mission success being hardcoded for all languages except English. Fix for Antarans fleet being not able to attack a player if the player blocks any planet on Antarans way. A hotfix is now available for download, if it hasn't already updated for you. It addresses some of the issues you've reported since version 54.6 went live last week. Below you can find the patch notes. Fix for Identical key IDs for "Start Mission" and "Assign Mission"
Fix for truncated political status "Independent"
Fix for the audience screen opening, when selecting AI again after clicking on Minor Civilizations. Planet names can now can occupy 2 lines. Thank you for all of your reports, and please keep the feedback coming! Read on for the full patchnotes, and as always we are eager to get your feedback! Intro sounds added for: Amoeba, Eel, Squid and Dragon.